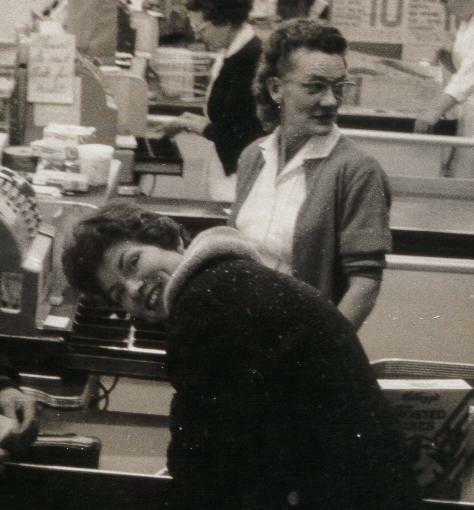 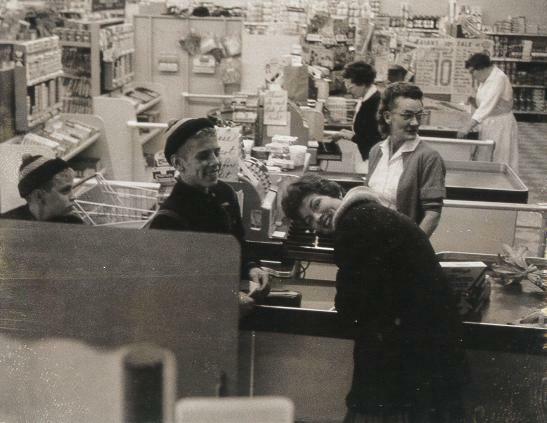 Here we see Betty Brent buying some Cereal at the Leroy IGA.Probably 1960.Of some interest is the Cereal box itself.That is a rare early 60s "Football head" Tony the Tiger Sugar Frosted Flakes box.The name football head refers to the shape of Tony's head in that era.The boys names are Gary and Dennis Brent.Their cashier is Babe Henson. . ..